Common blue violet; photo by Dendroica cerulea on Flickr (use permitted with attribution). 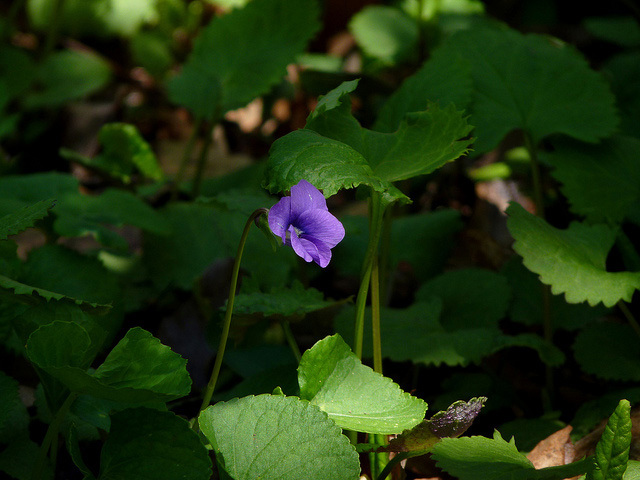 In 1907 Illinois schoolchildren voted to select the violet as the state flower and the native oak as state tree (other contenders for state flower were the wild rose and goldenrod). 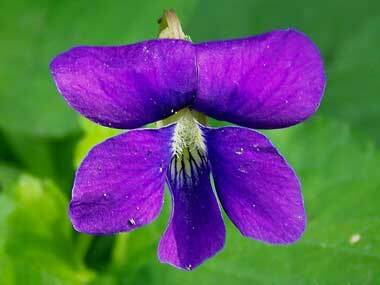 There are eight different species of blue-flowering violets in Illinois; the most common is the dooryard violet (Viola sororia). The incentive for adopting state flowers was inspired during the 1893 World's Fair in Chicago. 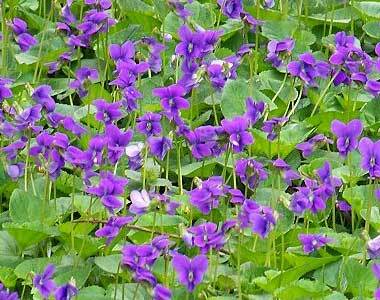 Illinois was the first of 4 eastern states to officially adopt the common violet as the state flower (Illinois, New Jersey, Rhode Island and Wisconsin).